Steeped in ancient mythology, bucket-list worthy historical charms and Blue Flag beaches, the region of Paphos is a magnificent one and one of the most varied and beautiful areas of the island. Dotted with castles, churches, monasteries, golden beaches and craggy coastlines – it's a place for romantics and families alike. With plenty to get stuck into from conquering mountains to wandering through ruins, you'll be sure to find the perfect combination of leisure and pleasure. 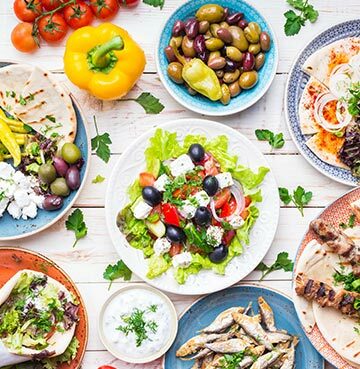 Paddle in impossibly blue seas or tuck into mouth-watering mezes in traditional tavernas. The gift that keeps on giving, there are just so many things to do in Paphos. The richly romantic harbour is a beautiful place to sink into a relaxed pace of life with long lazy evening meals. Perfect for couples to enjoy a charming candlelit dinner, or even just a seafront tipple at sunset. Wander along the coastal promenade hand in hand as the sun sinks into the glowing golden horizon. This is what balmy beautiful evenings are all about! Wine tours will take you on a journey of discovery through picturesque vineyards scattered across Paphos. With a rich wine history that's been alive for over 6,000 years, whether you're a connoisseur or a simple lover of the drink, you'll delight in discovering a host of flavours and quaint little villages on your travels. If wine really isn't your thing, sample some of the local beers instead! An assortment of brews including Bavarian larger, Irish ale and American-style ales can be found at Aphrodite's Rock Microbrewery. Forever a family favourite, zoos are a guaranteed hit with the kids! And Paphos Zoo is no exception! Close to Coral Bay, set in lush grounds and open 365 days a year, the park boasts a huge collection of exotic birds, mammals, reptiles and venomous snakes. Home to zebras, monkeys, meerkats, crocodiles, kangaroos, wallabies, lions, tigers and so many more, spend a day surrounded by the magical sounds of nature and learn about these amazing species. 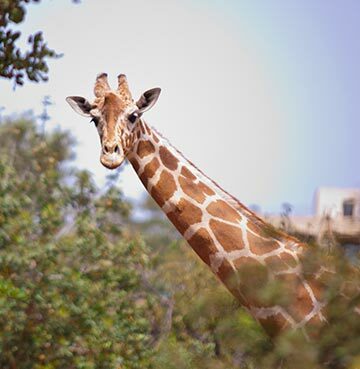 Paphos zoo makes for a great way to entertain the family for a day, and also features a natural history museum, traditional art museum, children's playground and refreshment kiosks. If the likes of the Akamas Peninsula whet your appetite for adventure, but you're not sure about setting out solo – never fear! There are plenty of tour companies that offer trips to see some of the most famous sites in Paphos. An action packed Land Rover and boating trip on the wild west coast is full of non-stop thrills and spills. Hop aboard a catamaran or speed boat and sail the high seas. With pick ups from the beautiful Paphos harbour, it couldn't be easier to set out on open waters. Choose from half days, full days, sunset tours, pirate themed excursions, adult only trips and private charters. 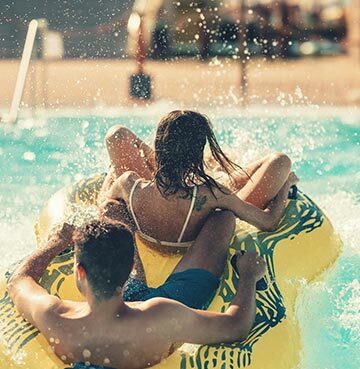 If you're looking to cool down from the sizzling Cypriot sun, then look no further than the amazing Aphrodite Waterpark. High-speed waterslides, an extensive lazy river, wave surge pool, kids water-play area and lots of swimming areas make for a fun-filled family day out. If your dream holiday extends beyond the beach – then the Paphos region has a lot to offer! On the North West tip you'll find the Akamas Peninsula. An area of outstanding natural beauty, filled with deep gorges, wild landscape and sandy bays. There are three official nature trails to tackle! Take your pick between the Adonis Trail, Aphrodite Trail and the Smigies Trail. Interwoven with amazing rock formations, valleys and breathtaking views, each trail has a different level of difficulty and duration. 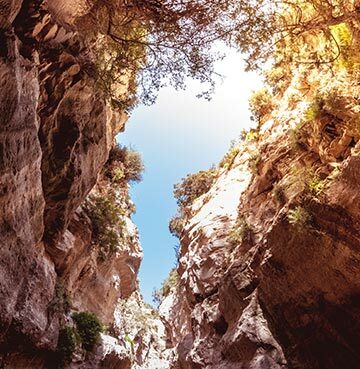 Don't miss out on gallivanting through the impressive Avakas Gorge. The hike is two and a half kilometres long with sheer rocks on both sides. The narrowest point is just 10 feet wide! A great place for wildlife spotting – keep your eyes peeled for foxes, hares, falcons, night owls, reptiles and if you're lucky you might even spy some elusive fruit bats. Sandy, stony, crowded, deserted, untouched, surrounded by forest – you name it, Paphos has it when it comes to beaches! 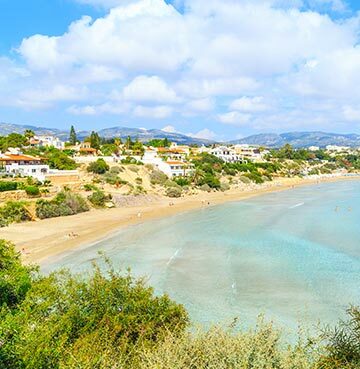 With a mix of bays and coves that will cater to even the most diva-ish of beach demands, the Cyprus coastline can satisfy every type of beach lover. The gorgeous Coral Bay is a great family-friendly choice, with plenty of facilities, shallow waters and space for everyone to find their spot on the sandy strip. Further afield, Aphrodite's rock and beach are a spectacular road trip away via rugged coastline. The drive itself is almost as impressive as what awaits at the other end. Legend has it the goddess of love rose from the waters that surround the rock, and visitors come from all over to see it. Whatever you do, wait around until sunset. A multi-coloured palette of reds and oranges make for an otherworldly experience. Need more inspiration? Here's our guide to the best Beaches in Cyprus. The birthplace of the mythical goddess Aphrodite, step back in time and visit Ancient Greece! Trace the treasure map of Paphos' ruins and discover 9,000 years of history for yourself. Wander through tombs and temples, watch plays and musical performances at a classic Greek amphitheatre, and explore how the other half used to live. The House of Dionysos and House of Theseus are both impressive examples of large Roman villas famous for their mosaics. Paphos Archaeological Park is home to a number of attractions if you're a two-birds one-stone kind of sightseer. Although in this case it's more like five birds, as it's one of the south's richest archaeological sites! Still under excavation, royal relics and marvellous mosaics have been uncovered dating back from prehistoric times to the middle ages. UNESCO's Tomb of the Kings is the crowning glory. Carved out of rock and set in a desert like landscape, the size and splendour of the tombs are overwhelming. 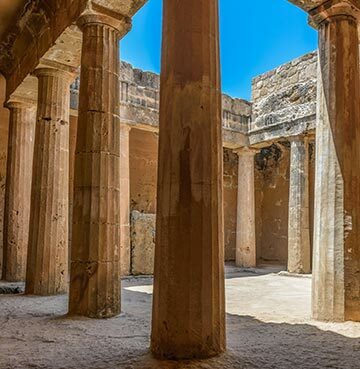 Wherever you are in the city of Paphos and surrounding areas, you won't be able to take more than two steps without stumbling onto a historic gem. Cyprus has an overwhelming cultural heritage, and Roman settlements, castle dungeons and old city walls are just part and parcel of the island's amazing story. Another gem for nature lovers is the Troodos Mountain range, home to the magnificent Mount Olympus. A total of 10 trails traverse the park and there's at least one suitable for every type of traveller (including a wheelchair accessible trail at Kampos tou Leivadiou). Hiking, cycling or horse riding are great ways to experience the island's natural splendours. Thick forest spreads out across the south west. Dubbed 'the green heart of Cyprus', it's teeming with picturesque villages, UNESCO World Heritage Byzantine churches and wildlife galore. The sounds and smells of the forest are a haven for tranquillity. 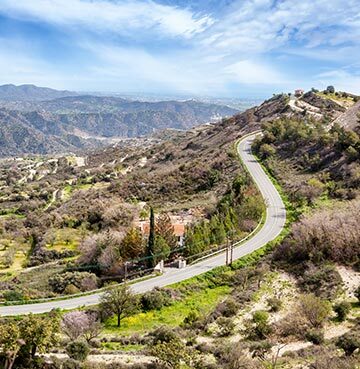 If all that walking around sounds too much like hard work, why not hire a car and road trip the Troodos? Unwind your windows, breathe in the fresh air and prepare to pull over a lot to take in the jaw-dropping mountain vistas!